Hirsh Studio is expanding! We are adding a large classroom to our facilities. 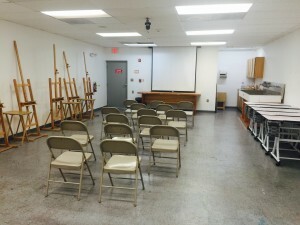 The classroom is located at Artists & Makers Studios 2 on Wilkins Avenue (12276 Wilkins Avenue, Rockville, MD 20852) and is located on the third floor–just in back of Gallery 209. 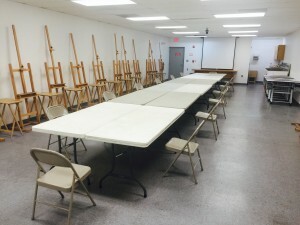 This space is ideal for art teachers–with tables, easels, a sink, special lighting, and over 1300 square feet–enough space for large classes, demonstrations, and discussions or for classes where students need plenty of individual space. Rent is $125 for 3 hours and $300 for all day. Available 7 days/week, including evenings. Contact CathyHirshArtist@gmail.com if you are interested in doing a weekly class, workshop, or in renting the space for another event. 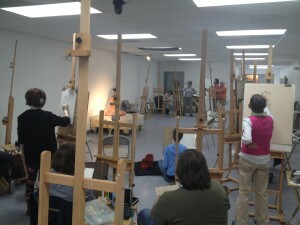 Cathy’s personal studio, classroom, and gallery is still located in Studio 41 at the Parklawn location of Artists & Makers Studios (11810 Parklawn Drive, Rockville, MD 20852). Don’t forget to stop by there too!